Forum Description: Posts that don't fit in any of the other categories. 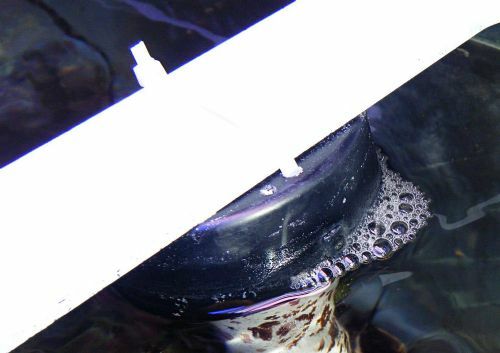 So i have ran a few different drain methods in my few years of reefing and i have to say Herbie drain is by far my favorite and it is whisper quite, it was actually unnerving to hear no water flow at all when i first started my tank. It took me a 5 minutes to adjust the gate valve to get the flow just right in my case. I also have a cover that guards my main drain from being clogged. I run a DC return pump so i use the feed button which shuts my pump off for 15 minutes, I have never had an issue with it overflowing the sump. I have also tested by plugging my main drain, the back up drain more than handled all of the water flow from my return pump. Each person here will have different success with different methods and they will stick with what works for them and swear by it. In the end test every solution you have available to you and stick with what works the best for your tank since every tank is different. I saw somewhere where I can put a cap on and drill a hole in the cap with airline tubing coming from the cap. Yes, the cap (in this case just use a PVC Plug in the Tee) with a small hole is what silences it. It works like a car muffler. Start with a small hole like 1/8" and if that doesn't work, drill it 1/4". It's the size of the hole that matters. The airline tube is unnecessary and sometimes even gives a noise of it's own. Actually I'll bet the modified Durso would work, there are easy design mods to make it work in different situations, but if this T with a cap does the job, no need to go any further. 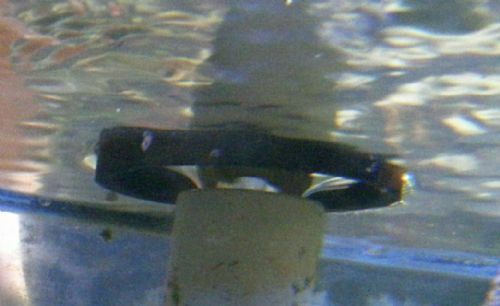 The Herbie Drain is sensitive to changes in return water flow and changes in sump water level, whereas the quiet operation of the Durso and Modified Durso is unaffected by those variations. Okay, I have some pics for y'all. You've seen, if you looked at the link posted earlier, the Modified Durso with the stand pipe where prongs are cut to stick up and hold the cap in position. Here is another variation. 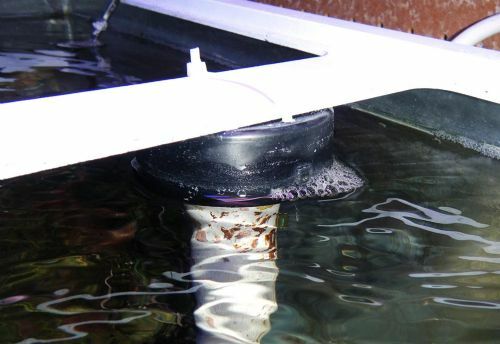 Water rolls down a stand pipe; a 1" Class 200 PVC which extends 1/4" into the 2" ABS Cap above. A 1.5" ABS Cap could have been used to conserve space if required. Class 200 PVC Pipe has a larger inside diameter which allows more water flow. 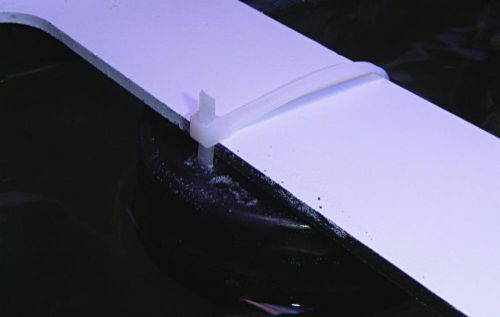 The Cap was drilled on each side and secured with a Zip Tie around the center brace. In case you're wondering, the entire tank frame was painted white to match the white stand. The holes for the Zip Tie did not let enough air through so a separate hole was drilled in one side and then another hole on the other side was drilled to let enough air into the Cap to make the drain absolutely silent. Initially I was dismayed by the fact that this used 30 gal breeder tank had been drilled in the bottom back center, straight below the brace, but I relaxed when I realized this allowed the cap to be positioned perfectly. I will post a few pics when I get home. I use the "herbie" style over flow and use a gate valve. Using a gate valve makes the adjustment super easy if you used a normal ball valve it may be tough to adjust I can imagine. Mine has been running for over a year with no issues at all and no adjustments past the initial one. Fellow reefers come over and comment on how quiet my take is compared to theirs using other over flow methods. That has been my experience also with my herbie drain setup, people comment all the time how quiet it is... SILENT! Herbie with a gate valve. Done.